Conveniently utilize this 4U Series small energy-efficient LED under cabinet light to enhance any area. 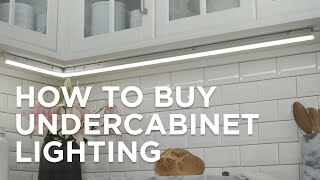 Using a textured white finish, this 4U Series small energy-efficient LED under cabinet light from Kichler boasts a clean and sleek presence to fit in with any setting. With frosted glass, the design of this light is detailed to attract and enhance wherever used. 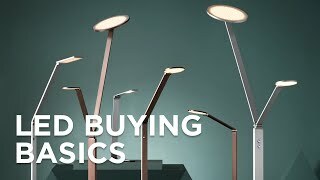 The design of this light uses a direct wire for plug-in installation, and is conveniently dimmable with an external dimming source. 8" wide x 4.5" deep x 1" high. Weighs 0.9 lbs. Built-in dimmable 4 watt LED module: 177 lumen light output, comparable to a 25 watt incandescent. 2700K color temperature. 93 CRI. LED averages 40,000 hours at three hours per day. 4U Series small energy-efficient LED under cabinet light from Kichler. Textured white finish; aluminum construction. Frosted glass. Direct wire and plug-in installation. A six-inch sizewhite finishand easy to install appeal make Legrand&#39;s sleek adorne LED slimline light ideal for any kind of counter space. Enjoy energy savings and chic style with this tannery bronze deck light illuminated with a warm white LED. The 3000K color temperature LED in this highly efficient bronze deck light produces an accent of pure white light. Sleek and fashionablethis small brushed aluminum under-cabinet light brings modern touches to classic room lighting.